Cars and trucks are the most used types of vehicles. Today we can’t even imagine how to live without such means of transportation: we use cars/trucks to go to work, to take children at school, to go out for entertainment, to reach places that are far away and, why not?, even to get to a vacation destination. We are so much in love with our vehicles, that we get to the point to even forget that vehicles are simply machines and that, for being like that, they are destined to go through mechanical troubles. According to American car mechanics there are a few basic reasons why sooner or later car drivers have to look for a good mechanic to repair their beloved car. First of all, most car drivers tend to develop a sort of “dependence” on their vehicle. In other words, they tend to overuse the car, which involves serious consequences on the usage of the car itself. In fact, there are certain car engine components that might come to an end before what you expect, simply because you use your car a little “too often”. There are also “external” factors that come in between: let’s take for example car accidents. We are pretty sure that nobody on Earth is able to predict when a car accident is going to happen – which is exactly why such sad situations come with a bunch of boring and time-demanding things to do. First you have to take your car to a car mechanic for the needed repairs, then you have to check your car insurance for financial payments and finally, you might also have to consider to buy a new car, if the mechanic tells you that “unfortunately, there’s nothing to do with it”. Don’t forget that today’s car models feature an electrical part along with the mechanical part. The first one is responsible for numerous troubles because the electrical components are evidently more sensible than mechanical ones to certain weather conditions or electromagnetic pollution in the air. “I wouldn’t drive this car another mile now on”: scaring sentences car impact the car driver’s emotions so strongly. Certain car mechanics use such strong sentences to convince their customers about spending much money on multiple repairs. “I’m the best one in this field”: car mechanics love to make you believe they’re the best ones in this world. You can, however, ask for their certification, years in business, warranties offered and more, so you will understand if he is really “the best one”. Many times, car mechanics give their customers papers to sign without to tell them what they are signing. The advice here is to always read what you sign! If you don’t want to take the risk when it’s about a locksmith car emergency, you will have to select the very best locksmith company in your place. Currently, ABC Locksmiths is popular in the US for its valuable and durable car locksmiths repairs and emergency assistance. ABC Locksmiths is a nationwide large locksmith company which counts on a team of thousands of professionals who are dispersed throughout the US- this is a very important point because it’s what ensures all customers to always find a locksmith nearby at the time of their emergency situation. In an automotive industry which is so abundant with new car models, it’s always hard to meet the customers’ needs. However, ABC Locksmiths can do it pretty well, if you consider that its network of car locksmiths can provide immediate and certified repairs for a large number of car brands and models. Last year was a really busy time for car mechanics and all other professionals who work in the automotive field. During the 12 months of 2018, we’ve been seeing new car models by important car brands, including hybrid car models, SUV cars, electric cars and cars that are provided with a smart driving system which is expected to make the car driver’s experience easier and safer. The world of cars is literally shocking millions of car drivers… innovations and progress seem to boost the entire industry and to lead it to “the next level” of the future! However, even the most advanced car is and will always stay a machine, that is a product which might go through mechanical or electrical troubles. And the year 2018 wasn’t an exception to this ever-valid truth. According to specialized professionals in the automotive field, regular car maintenance can help save much money on car repairs, if you consider that the average car repair bill costs several hundred dollars if not more. Replacement of catalytic converter: you realize you need this car repair when you notice a loss of engine power and a slow start of your vehicle. Usually, fuel efficiency tends to drop, as well. Loose fuel cap: just an easy fix that you can do yourself. If you notice the smell of gas in the car cabin, that’s a sign the car cap is not set the correct way. Replacement of oxygen sensor: all engines need oxygen to enter the catalytic converter. If something is going wrong with the oxygen sensor, you might notice a loss of fuel efficiency and a different sound when the engine idles. Other symptoms include jerky acceleration and the smell of rotten eggs. Replacement of mass air flow sensor: this is another sensor which has a crucial role in the engine system. When the engine stalls often just after it starts, it’s possibly because the mass air flow sensor is not working correctly. Another common symptom is when the acceleration is jerky and the engine sounds like hiccuping. Replacement of spark plug: spark plugs are very important engine components. They are responsible for decreased fuel efficiency and for troubles when starting the engine. By luck, it’s reasonably easy to remove an old spark plug and replace it with a new one. Replacement of EGR valve: before to remove the old EGR valve, disconnect the battery and find on your car manual where the valve is placed in the engine. This valve is important because it reduces the cylinder temperature. If it doesn’t work properly, the engine sounds differently when starting and idling. EVAP purge control valve: when the car has troubles to start immediately after refueling, the EVAP purge valve might have a role in the trouble. This valve allows the vapor in the engine to be burned up with the fuel. 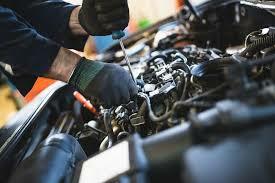 Replacement of ignition coil: when the car engine shakes and makes weird sounds, it might depend on the ignition coil. Unfortunately, when the ignition coil doesn’t work anymore, the only solution is to remove it and replace with a new one (don’t forget to disconnect the battery before to work on it!). Mechanical and electrical troubles are not the only types of car problems – there are also unexpected car emergencies that involve car keys, car door locks, and car lockouts. If your transponder car key doesn’t unlock your car, the best thing to do is to look for Locksmith Locator, a US most important locksmith company. And what about car lockouts? Again, request a cars lockout service straight away! A rep of Locksmith Locator will reach you within only 25 to 30 minutes from your emergency call, no matter what time it is (Locksmith Locator is available 24/7). And if you think that you’ll have to pay extra fees for your emergency call, then relax because Locksmith Locator won’t charge that on you – this company’s goal is to help you get back on the road in the safest and smoothest way possible. Take care of your car, so it won’t leave you in trouble anymore! For those with bad credit loans might seem unfeasible. Being in a position without any cash is not an exciting place to be, especially if your credit score is less than ideal and a point of embarrassment for you. Failing to impress the financial institutions which are important can limit loans. However, getting loans can be done with a few key tasks. The first is taking stock. If you are unaware age of how bad your credit score is then you need to take stock and see what the score is on your credit reports. This will help you understand where you stand in comparison to the ideal credit scores making loans easier to obtain; understanding which lenders will finance lower credit scores and having the credit information which pertains to you will help you to get loans on terms which work for you. The next step is finding the right lenders. Your current bank is a good start if you have conducted business with them for a decent amount of time, creating a good relationship as a customer with solid banking practices. With home loans and car loans, you can better afford services like garage door services. Residential garage doors are a necessary part of any garage setting. They have developed over the years to include many viable options which excel in their use and their appearance. Many people needs to replace their older garage doors or might need residential garage doors for their new home. In any case, residential garage doors which are over five years old might need to be placed. Thanks to modern advances in this field, residential garage doors offer curb appeal and can match the interior quality that you have in your garage. They offer security and safety to your family. There are many types of residential garage doors and different GARAGE DOOR SERVICES. The first are roller garage doors, then sectional garage doors, side-hinged garage doors, as well as up-and-over garage doors. These each come with many additional feature options, making your next residential garage door purchases easy. The first—roller garage doors—are the most popular among residential garage doors. These use a drum which is placed just above the opening which stores the roller when the garage is open. The second option—the sectional garage doors—is nearly the same as the first options, but they do not operate on rollers. These options both allow the optimum space in your garage. The third option—side-hinged garage doors—are very simple in their design and are regarded as the most traditional of residential garage doors. These often come in double door styles which lock in the center. They require additional space and are used in rural areas. The fourth option—the up-and0over garage doors—will swing outward and then are place up to store them. They move like the roller garage doors, only each part does separate and it is a single entity which means more space is needed in front of the garage before opening. These are very simple and offer a classic feel to them. Being involved in a car collision is definitely one of the most stressful events in the life of a driver. No matter how many years of driving experience you might have, and how many crashes you have personally witnessed in time, the image of a crashed car into a pole or another car, with the drivers and passengers inside is never pretty. While no one wishes to be in an accident, disaster, unfortunately, strikes when we least expect it. Assuming you are not currently involved in a real-time car crash, and you are simply looking to know what to expect from one, these next few tips should come in handy. If you have been involved in a car accident, you are required by the law to report the incident to the authorities in charge. You will need to fill in a police report and immediately get in touch with the police an/or an ambulance in case someone involved in the collision has suffered any injuries. Any passengers or drivers that have not suffered any injuries should also remain at the scene of the accident. It is best to maintain the post-crash position of the cars unless you need to immediately evacuate an injured victim. Find out what else you should avoid ding in case of a car crash here. It is also necessary to call the police in case of a hit-and-run accident, or a crash that involves a pedestrian. Take practical measures at the scene. If there are no injuries as a result of the collision, ensure the cars are not obstructing the traffic in any way. Move your car on the side of the road or take it to a safe area. Use the hazard sign. Write down the plate number of all the cars involved in the collision and the contact details of all drivers. Do the same with any witnesses in the area. Take photos at the scene. Do a sketch of the collision scene if you cannot take any pictures. Take photos of the lane markings, including any debris or damage done to any nearby structures. Write down the exact, date, time, and location of the crash. Fill up any necessary and relevant forms on the spot. Get in touch with your insurance agent and learn where can you repair your car in case you plan on using the self-claim policy. You may need to assess your car at an independent damage evaluation service prior to getting the repairs started. Get in touch with us and let us schedule the repairs at a time and date that are most convenient for you. Great Lakes Ford Collision constantly strives to prevent insurance companies from creating any kind of inconveniences. We also specialize in all types of repairs for all vehicle makes and models. We offer a lifetime guarantee on all repairs. While defensive driving and respecting all driving regulations are critical conditions that should cut the risk of cars crashes, there are additional things to do in this regard. Make sure your car is working in pristine form at all times. Schedule periodical car inspections and perform all necessary repairs, no matter how small and apparently insignificant. An ignition switch that tends to get stuck from time to time will eventually prevent you from starting the engine in a crisis, potentially leading to an unwanted incident. A broken transponder key or a faulty lock on the trunk could also lead to various types of safety matters, including car break-ins and theft. Contact a locksmith near me you can trust and have them assess all of the locks and keys on your car and recommend the best solutions. If you do not already have a car alarm installed, you may want to consider opting for one for enhanced protection. Locks for steering wheels or brakes are also common solutions most car owners rely on for similar reasons. You could also replace your traditional metal keys with electronic options and or have an expert locksmith replace your old and obsolete lock mechanism and use transponder keys instead. A broken car door lock issue could force you to lose focus while driving on a highway and potentially cause you to crash in a car driving from the opposite side. Make sure you have even the smallest vulnerabilities taken care of on time and limit the risk of security issues and additional problems in the long run. Let us assume you are driving in the night, and you have a long road ahead of you. Destination: home after a long day at work, out on the field, or traveling back from a business trip/seminar. All you can think of is getting there sooner and running a long and hot bath. To stay awake, you’re blasting your favorite radio in the speakers. A song you hate comes up, and you look down to change the station for a brief moment when all of a sudden you feel a serious nudge and you hear a loud sound. You’ve just hit the car in front of you! Now what? There are a series of issues that could arise from such an event. We are now going to consider the less severe scenario in which no one was hurt, but there are some small car matters that need to be taken care of. #1: You cannot start the car. This is usually caused by an inertial switch that has been damaged and tripped during the impact. When this occurs, it means that there is no fuel pumping, which will, of course, prevent you from using your car properly. If you are driving a car that features such an inertia switch, you should have it checked after a collision. Look for an inertia switch in the owner’s manual if you are not sure if your car has such a switch or not. Press the indicated button in the manual and you should be able to start the car normally. #2: The headlights are damaged. 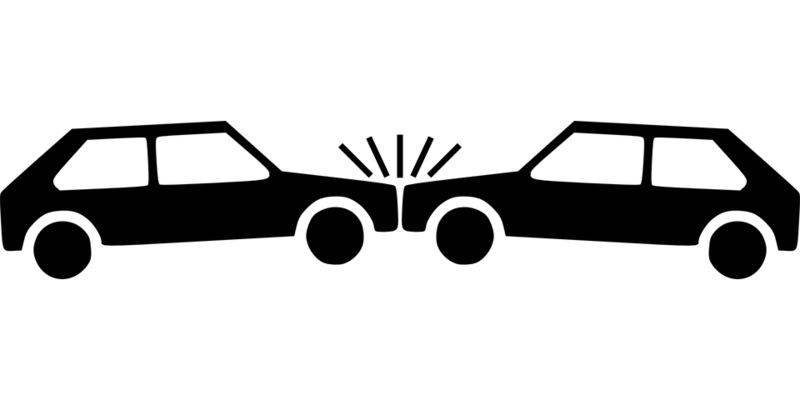 Small car crashes usually result in damaged headlights or taillights. Light break at impact, lens get broken and wires are disconnected wiring. The good news is that you should be able to easily reattach a loose wire and help the lighting system resume its activity without too much effort. You can buy a repair kit for car headlights lens and do a little DIY work. #3: The battery is dead. Collisions usually impact car batteries too, causing them to die. Given the fact that batteries are known to considerably shorten their life-cycle after a crash, you should immediately schedule an appointment with your regular car mechanic and look into the matter. You may need to have the battery fixed or changed, and you should let a pro handle it. #4: You cannot open or close the door/s to your car. This is another common problem drivers deal with after a collision. Damage done to a car can prevent drivers from using the doors properly. A local car locksmith in the area can help you quickly restore the function in a broken car door with zero hassle. In case of lock damage, a trained lock technician will quickly replace or fix any broken parts that can still be salvaged, saving you money and future headaches. Make sure you also check the ignition switch and/or the lock on your trunk, depending on the type of collision your vehicle has been through. Do not jeopardize the integrity and safety of your car and of the passengers in it by failing to inspect the locks before getting behind the wheel again. #5: Your car has been cosmetically damaged. More often than not, a vehicle involved in a car crash will show signs of cosmetic damage. The type of repairs that are needed to make the vehicle look good again is decided by the type of damage the car has been subjected to. Get in touch with us for any cosmetic repair and painting jobs you may need done on your car as a result of a collision. See if there are any other problems you would like us to fix. Keep in mind cars can get easily thrown out of alignment during minor collisions, or you may experience issues with steering the vehicle the right way. Don’t let anything prevent you from safely getting back on the road again!